Asus gaming monitors have been at the forefront of the gaming market with their products that combine excellent design and performance. 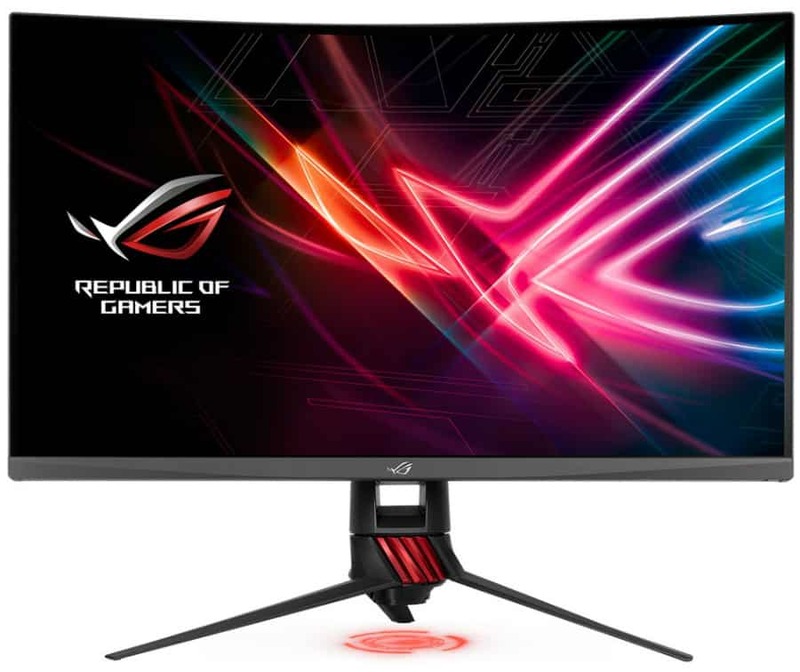 The Asus XG32VQR and the Asus VG279Q aren’t as profoundly advanced as the PG27UQ, but they represent forward steps in gaming monitor design. Both displays offer improvements in visual quality and capabilities which make them something we as enthusiasts can look forward to. 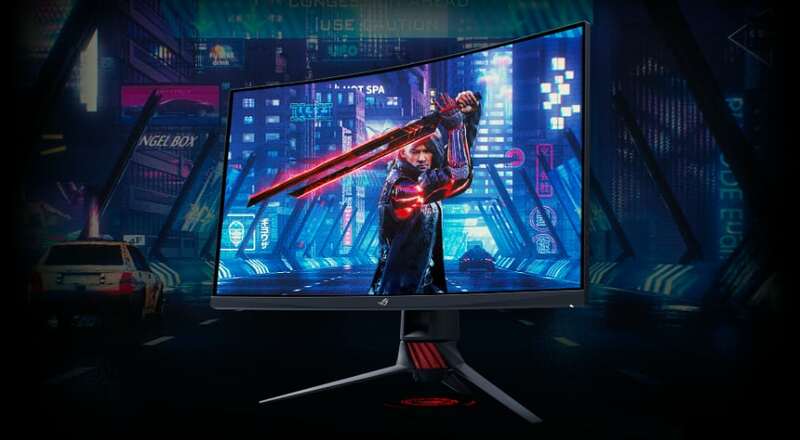 Asus gaming monitors are consistently present at the top of the chain because of their expertise in creating class-leading displays for gamers and professionals. This brand is widely accepted as part of the big three brands, if not the top dog. Asus has produced some of the best products we love such as the valuable Asus PG278QR and the Asus PG27UQ. 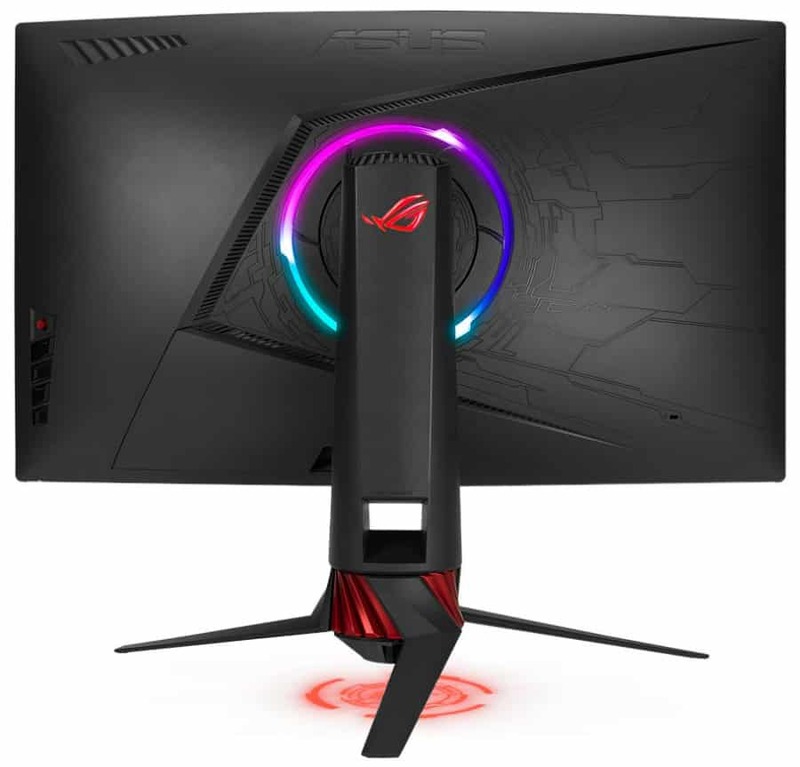 Asus gaming monitors also spearheaded the gamer-centric designs we see today with their ROG designs and schemes. One of their biggest selling points is the Aura Sync compatibility which adds their latest gaming monitors to a unified RGB lighting ecosystem. Of course, superb image quality and responsiveness are part and parcel of the package. These two are the latest Asus gaming monitors that will become available shortly. Both have high refresh rates and FreeSync making them as responsive and smooth as their esteemed predecessors. The Asus XG32VQR offers a 32-inch curved VA panel with a 2560 x 1440 resolution and a 144Hz refresh rate. The monitor is perfectly sized if you want to get the most out of the immersive properties of curved screens. The monitor is also FreeSync compatible which will enable AMD GPU users to enjoy adaptive sync’s benefits at 48Hz to 144Hz. One of the key improvements for the Asus XG32VQR is its HDR400 compatibility for improved visuals. There is no local dimming and the backlight can only go as high as 450cd/m2, but the HDR mode isn’t restricted to FreeSync. This means that the HDR mode in this model will work with any GPU, allowing more users to enjoy its benefits. The Asus XG32VQR carries impressive specifications which we can’t wait to test. The VA panel is advertised to have a 94% DCI-P3 coverage which should go well with the 3000:1 contrast ratio in creating eye-popping images. It’s also worth noting that the matte-coated screen has a 1800r curvature for better depth and improved visual comfort. The Asus XG32VQR also sports enticing features on its exterior design, particularly due to the Strix aesthetic treatment. This kind of design used to be exclusive to the ROG Swift line with a slightly different color scheme. The product features the distinct helix stand that includes a complete range of ergonomics for excellent adjustability and a gamer-centric appeal. However, the highlight for the Asus XG32VQR is the LED ring at the stand’s attachment point that functions with Aura Sync lighting. You can control the colors and schemes according to your liking or synchronize it with the rest of your build if you have an Aura Sync ecosystem. This feature is valuable for Asus users who want a streamlined aesthetic setup that can produce gorgeous effects. Other standard features include a covered I/O panel that has DP 1.2, HDMI 2.0, and dual USB 3.0 ports. The familiar OSD control layout features hotkeys and a joystick for easy navigation so users spend less time tweaking the monitor. 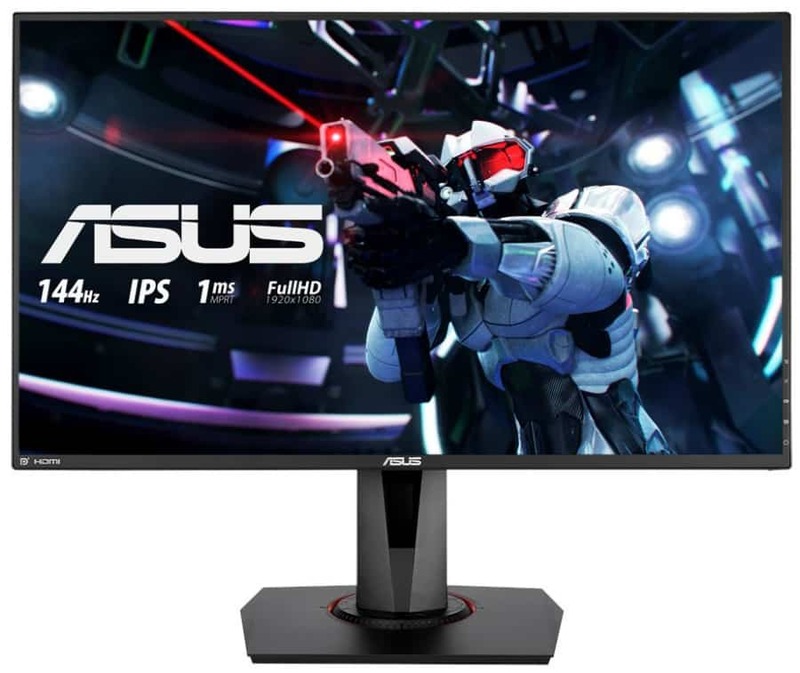 The Asus VG279Q is part of the entry-level bracket of the brand’s gaming monitor line, as denoted by the VG code on the model number. This series adapts the previous design scheme of monitors like the PG279Q composed of a minimalist chassis with a matte black finish. We love this design even if the Gen.2 treatment is now more prominent due to its cleaner lines and thin, 10mm bezels on the screen. The Asus VG279Q includes a fully ergonomic stand which will allow you to tilt, swivel, pivot, and adjust the height of the display. The I/O panel includes DP 1.2, HDMI 1.4, and a Dual Link DVI for video inputs. Like the brand’s similarly designed monitors, the VG279Q is also VESA compatible for setup flexibility. What sets the VG279Q from the rest is it carries a 27-inch IPS panel with a 1920 x 1080 resolution and a 144Hz refresh rate. Full HD may not be as impressive as it used to be, but it’s great that we now have an IPS option for those who want affordable 144Hz 1080p gaming monitors. Previous models only came in VA or TN, and you needed to go for 1440p or 4K if you wanted IPS. The Asus VG279Q is also a FreeSync monitor which makes it suitable for AMD GPU users who want buttery-smooth frames. The variable range is still unspecified, but it’s speculated to be at 40Hz to 144Hz with LFC support. Other typical specifications mentioned are a 1000:1 contrast ratio and 8-bit color which possibly uses dithering. One interesting specification that caught our attention is the 3ms response time the brand is advertising for the Asus VG279Q. This number isn’t completely accurate, but a 1ms MPRT feature is also involved to boost the pixel response time. You need to utilize the new Asus ELMB or Extreme Low Motion Blur strobing feature to enjoy the boosted response time. Take note that you can’t use strobe backlighting with FreeSync due to some restrictions, but you can use the former with any GPU brand. The Asus VG279Q also features a GameFast Input Technology feature which is designed to cut out the display’s unnecessary functions to reduce input lag. Editor’s Note: Pricing and release dates for the latest Asus gaming monitors is still forthcoming. We will update this article as soon as more info is released, but it the meantime, you can peek at the Asus XG32VQR and the Asus VG279Q’s official product pages by clicking the links.